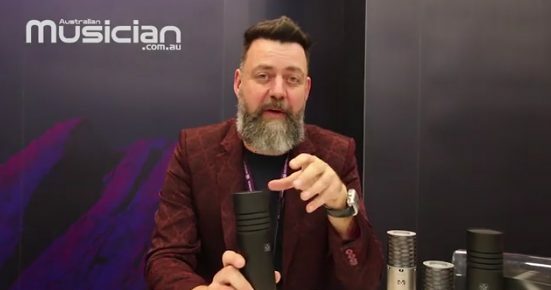 James Young from Aston Microphones shows us the new Stealth large format dynamic microphone at NAMM Show 2019. The Aston Stealth is a revolutionary, broadcast quality, microphone for studio and stage. With 4 switchable voices delivering unparalleled performance in almost any situation, a Class A built in mic preamp with autodetect 48V Phantom power (a world’s first!) and featuring a unique Sorbothane internal shock mount system and Aston’s legendary build quality, that they reckon Stealth is the world’s most versatile microphone.